I appear to have finally beaten the cold that has been plaguing me this week but am still tired and dragging. With some really excellent books waiting to be discussed, I’m going to hold off until my brain is a little clearer and I can devote the time to writing the reviews that I feel they deserve. Until then, here are some book-ish links that I hope you’ll find interesting! Darlene, formerly of roses over a cottage door, has launched her new blog this week. Go check out Cosy Books and read her wonderful review of Miss Ranskill Comes Home. 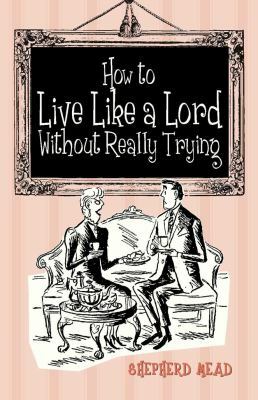 The Washington Post has a charmingly enthusiastic review of the now reprinted How to Live Like a Lord Without Really Trying by Shepherd Mead, which was first published in 1964. It sounds wonderfully old-fashioned, an example of “a subgenre that has largely disappeared: the truly lighthearted, mildly diverting book, written by a professional humorist with no greater goal than to provide civilized amusement for an idle hour or two.” My favourite subgenre, in other words! If you enjoyed my response to Sheila Kaye-Smith’s views on ‘spoiling’ books by reading them too young, do read Jo Walton’s thoughts, which grew to such a length that instead of posting them in the comment section here she wrote a whole blog post of her own: Is There a Right Age to Read a Book? And, for goodness sakes, if you’re not already watching The Lizzie Bennet Diaries, it is time to start! Also be sure to catch up with The Lydia Bennet, whose storyline is getting particularly interesting. This modern-day web series adaptation of Pride and Prejudice is clever, exciting, and surprisingly thoughtful. I have been following since its premier last April and I am always thrilled when a new episode ‘airs’. And while you’re at it, why not check out Simon’s Rethinking Darcy post too. That should be enough to keep you all busy for today while I attempt to respond to your lovely comments on yesterday’s birthday post. Happy Friday! Thank you so much Claire, I had missed out on all those great posts about Mr Darcy. I have just read Simon’s, but am clicking over to read the others now. As for the Lizzie Bennet Diaries: I couldn’t agree more. I’m glad to hear you’re recovering, although the tiredness afterwards can still take up a lot of time I hope you feel better soon. I only just found the Darcy articles when I was preparing this post so I am thrilled to be able to share them with a wider audience! I never get tired of discussing or reading about Austen. Never!!! Except I haven’t seen the Lizzie Bennet Diaries yet – so thanks for that! They are wonderful and very fun. I hope you enjoy them as much as I have! Thanks for linking! And I’m glad you’re feeling better. I’m feeling pretty dreadful, but have just received the good news (for me, anyway) that the library is closing at 3 instead of 10pm, because of snow – I was supposed to be here til 7, so get to go home four hours early! Yay – soup and bed for me! I felt personally affronted that your post about Darcy didn’t garner more comments so this is my attempt to correct that. 🙂 If I had my way, Austen discussion posts would be the most commented on and most viewed! Glad that the snow day arrived at a good time for you and hope soup and bed set you on the path to a speedy recovery (or at least an enjoyable convalescence). Isn’t it lovely? 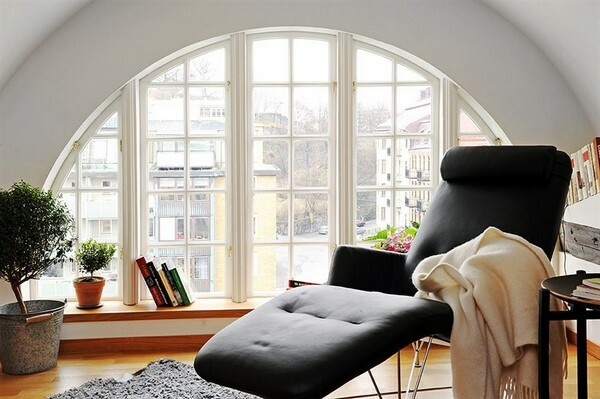 I adore that window. You too?! This has been just the worst winter season in memory for people succumbing to viruses. Having said that, I was standing in a British grocer earlier today just dying for a reason to buy the blackberry Halls. Hope you are feeling as good as new soon, Claire. Lovely of you to mention my new blog, by the way, thank you! I am so thankful that I haven’t caught the dreaded flu so far this year and have just had a persistent but mild cold on and off. Sniffles I can take, even without any blackberry Halls! I loved all the links, thanks for sharing! So pleased you enjoyed them. Thanks for commenting! Claire, thank you so much for the link to the Intelligent Life extracts. I love Helen Simpson’s work so it was fascinating to read her thoughts on Mr Darcy. You’re very welcome Nicola. I always love reading other authors’ thoughts on Austen and particularly enjoyed these Intelligent Life pieces. Love the Lizzie Bennet Diaries – thanks for sharing. 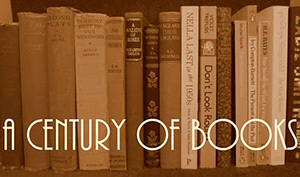 Have you seen the new book about 200 years of Pride & Prejudice. It’s called Happily Ever After and I think it’s delightful and there’s a great review over at JaneAustensworld. Worth a look! No, I haven’t heard about Happily Ever After. It sounds like something I would love, so thanks for the recommendation!